Wireless Excellence is the designer and manufacturer of the CableFree range of products for high performance wireless connectivity with capacities up to 10Gbps. 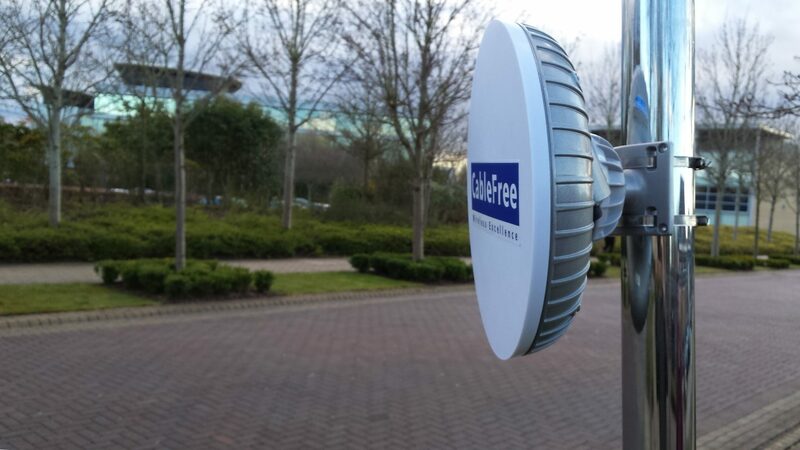 CableFree products include Microwave, Millimeter-Wave, 4G & 5G LTE, MIMO OFDM Radio, Free Space Optics (FSO) and Carrier Grade WiFi. With installations in over 70 countries, the CableFree Partner Programme supports customers globally. Partners enjoy access to certified wireless training, wireless network design service, detailed post-sales support to ensure CableFree networks are deployed smoothly and reliability. Extended warranty and maintenance services can be arranged. In addition to standard products, we offer customised products for application-specific uses: please contact us with your requirements.